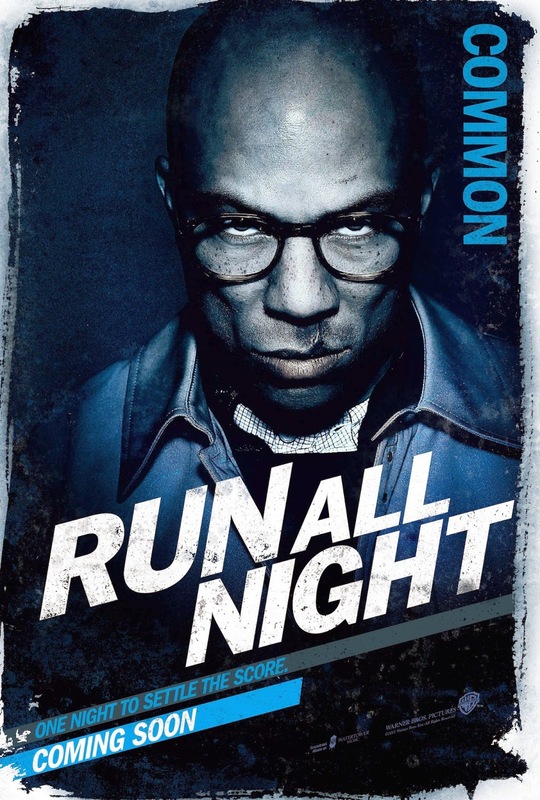 Warner Bros. Pictures is pleased to present three new character banners for RUN ALL NIGHT, featuring Ed Harris, Common and Joel Kinnaman. The film stars Liam Neeson, Joel Kinnaman, Ed Harris and Vincent D'Onofrio. 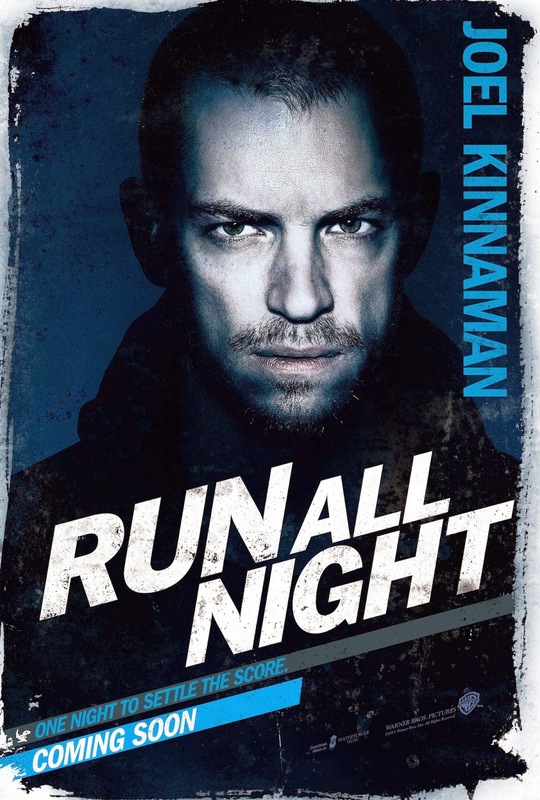 RUN ALL NIGHT will be in UK cinemas from March 13. 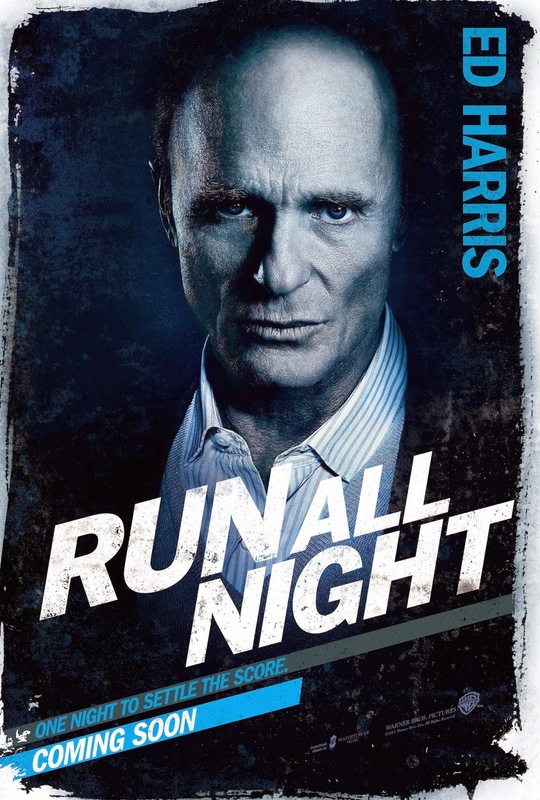 From Warner Bros. Pictures comes the action thriller “Run All Night,” starring Oscar nominee Liam Neeson (“Schindler’s List,” “Non-Stop”), Joel Kinnaman (“The Girl with the Dragon Tattoo”), Vincent D’Onofrio (“The Judge”), and Oscar nominee Ed Harris (“Pollock,” “The Hours”), under the direction of Jaume Collet-Serra (“Non-Stop”). Brooklyn mobster and prolific hit man Jimmy Conlon (Neeson), once known as The Gravedigger, has seen better days. Longtime best friend of mob boss Shawn Maguire (Harris), Jimmy, now 55, is haunted by the sins of his past—as well as a dogged police detective (D’Onofrio) who’s been one step behind Jimmy for 30 years. Lately, it seems Jimmy’s only solace can be found at the bottom of a whiskey glass. But when Jimmy’s estranged son, Mike (Kinnaman), becomes a target, Jimmy must make a choice between the crime family he chose and the real family he abandoned long ago. With Mike on the run, Jimmy’s only penance for his past mistakes may be to keep his son from the same fate Jimmy is certain he’ll face himself…at the wrong end of a gun. Now, with nowhere safe to turn, Jimmy just has one night to figure out exactly where his loyalties lie and to see if he can finally make things right. “Run All Night” stars Neeson, Kinnaman, D’Onofrio, Bruce McGill (“Ride Along”), Genesis Rodriguez (“Identity Thief”), Boyd Holbrook (HBO’s “Behind the Candelabra”), Holt McCallany (“Gangster Squad”), with Common (“Now You See Me”) and Harris. Collet-Serra directs from a screenplay by Brad Ingelsby (“Out of the Furnace”). The film is produced by Roy Lee (“The Departed”), Brooklyn Weaver (executive producer, “Out of the Furnace”), and Michael Tadross (“Gangster Squad,” “Sherlock Holmes”), with John Powers Middleton (TV’s “Bates Motel”) serving as executive producer. The behind-the-scenes creative team includes director of photography Martin Ruhe (“The American”), production designer Sharon Seymour (“Argo”), editor Dirk Westervelt (“Journey to the Center of the Earth”), and costume designer Catherine Marie Thomas (“The Heat”). The music is by Oscar nominated composer Alan Silvestri (“The Polar Express,” “Forrest Gump”).